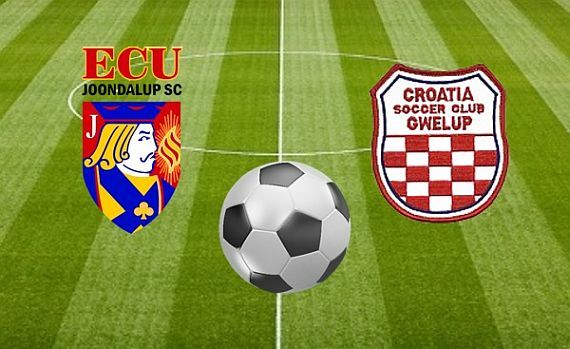 ECU Joondalup held a practice match against Gwelup Croatia on Tuesday evening as they prepare for Saturday’s PS4 NPLWA clash with Inglewood United. The game was played at a frantic pace with both team playing a possession based game. Gwelup had the better of the first 15 minutes, and Jacks keeper Lewis Italiano pulled off a couple good saves, the best a great low stop to deny Steve Purton’s curling free kick. ECU came into the game, but chances were few and far between for the rest of the half, but the quality of the football was good. Second half John Higgins came on, and the Jacks took control, but they were caught out on a counter attack on the hour. Nicolas Tatasciore’s low shot from the right was parried by Italiano into Robbie Phelan’s path, and he did well to sweep home for the lead. ECU were level five minutes later, after Drummond was brought down in the box, and Gordon Smith converted the resulting penalty. The Jacks continued to have the best of the game with Higgins Moon and McGarry running the midfield, but there were no further goals and the game ended 1-1.